Dove, a beauty brand trusted by women and mothers around the world, today marked its entry in the baby care category by announcing the launch of Baby Dove in India. With a promise of going beyond mildness to replenish essential moisture, India became the second market in the world, after Brazil, where the brand is present. Celebrity mom Genelia Deshmukh, and TV show host and mommy influencer Tara Sharma formally unveiled the product range at Four Seasons Hotel in Mumbai. Staying true to its philosophy, Baby Dove celebrated the concept of ‘Real Moms’ and the belief that there is no such thing as perfect mothers, only real ones. 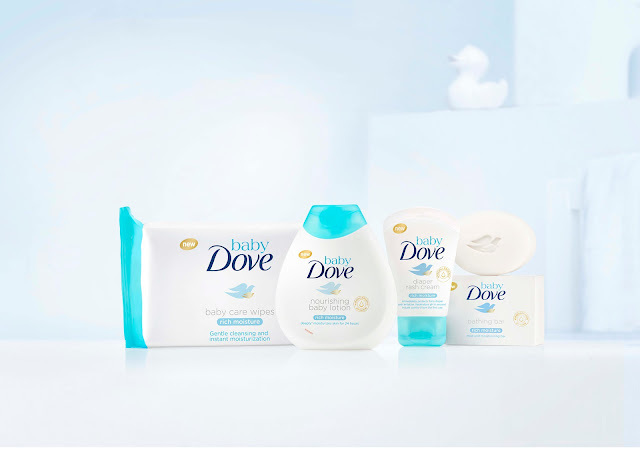 Baby Dove builds on the Dove brand’s 60 year heritage of moisture, mildness and care with a range of products developed especially for baby’s delicate skin, featuring cleansing products, moisturisers and body care products. Baby Dove products go beyond mildness to actively replenish essential moisture and nutrients in baby’s skin. Baby Dove caters for all skin types with its Rich Moisture and Sensitive Moisture ranges and all products are dermatologist tested and pediatrician approved. Baby Dove is available from 1st October, 2016 in Modern Trade, General Trade and Chemist channels. It is also available on Ecommerce portals. I will come with all the products mentioned above to review for all of you.. Stay tuned..